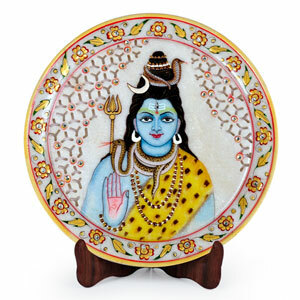 It is a divine showpiece that can adorn your puja room. 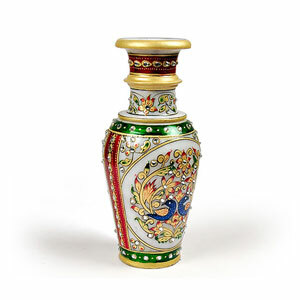 The exquisite carving, intricate designs and bright colours proclaim real class. 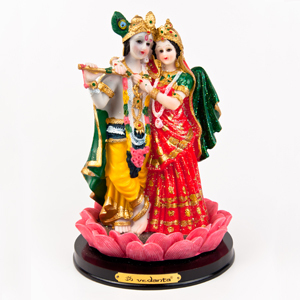 The quality, finish and sheen of the idols will stay without any defects for many years. You can pass on this legacy through generations to come. 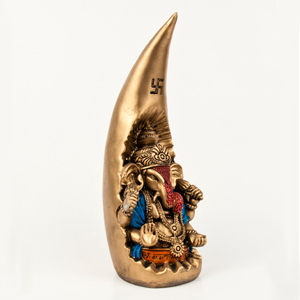 We guarantee you that just like the blessings of Ganesha, the deity idol will also last through many years to come.Use it as a mantlepiece, a cornerpiece or to gift someone. 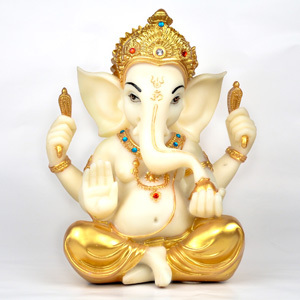 It is made of Polyresin material.